Updated April 25, 2018: There is now Free Internet WIFI in the unit! 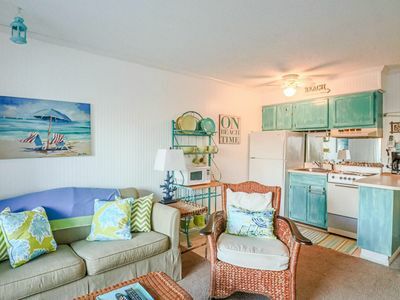 Newly Renovated 1 Bedroom 1 Bath Beach Condo that sleeps 2-4. 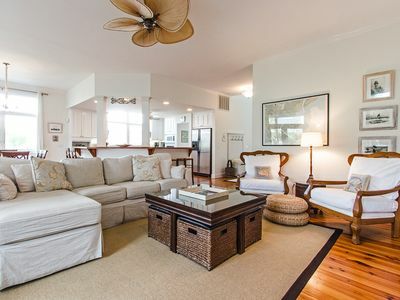 Vacation at a private, gated community with beach access located on the quiet North end of Tybee. 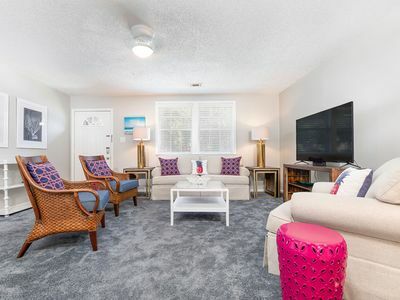 Come and enjoy this open, cottage style condo located in the Tybee Beach and Racquet Club Community. 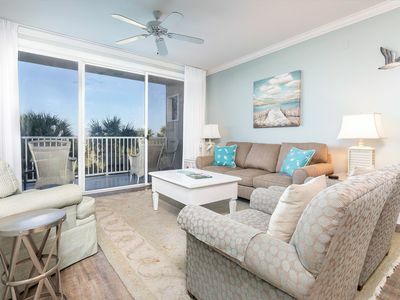 Under new ownership and renovated in 2018, this Beach Condo has all the comforts of home. 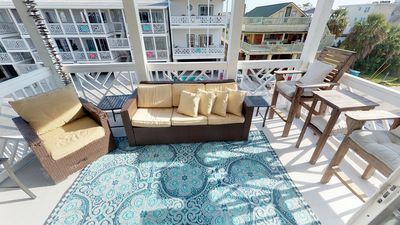 Relax on the balcony with views of the sand dunes and ocean, or catch a game of tennis on one of three tennis courts just outside the door. The bedroom has updated bedding and linens and contains a queen bed, flat screen TV and closet. Just outside of the bedroom are two "Captain's bunks", which are perfect for children or adventurous travelers. 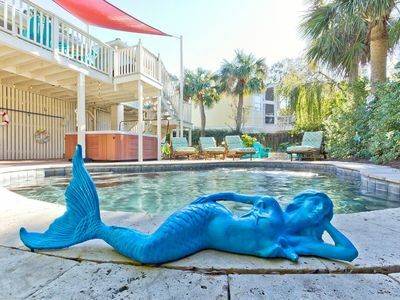 In addition, the condo offers an inflatable queen air mattress. The bathroom is off the main hallway and features a full bathtub/shower and new bath fixtures. 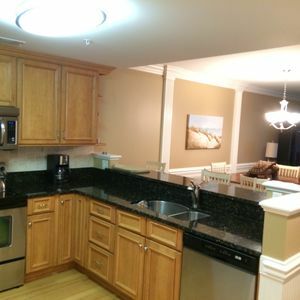 The kitchen is well equipped with a full size refrigerator, stove, microwave, coffeemaker and dishwasher. 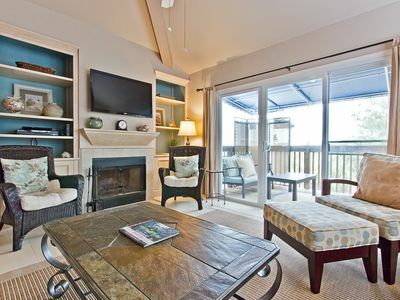 Just off the kitchen is a small dining table with chairs, or grab your food and eat off the bistro table on the balcony. 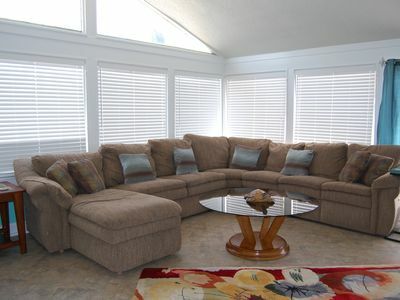 The newly decorated living room is equipped with a flat screen TV with cable television and a DVD player, and a large new sofa. 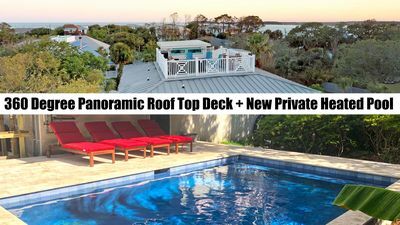 The private balcony is perfect for relaxing, and from its location you can keep an eye out on the pool and view ships coming into the mouth of the Savannah River. 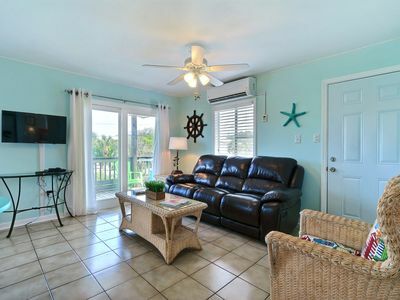 Enjoy ocean breezes and watch guests come and go. 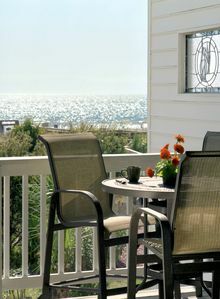 Also find several beach chairs along with a cooler for your use on the balcony. 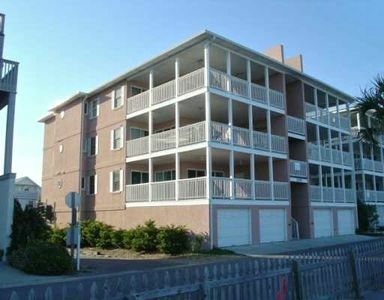 This beach condo is located on the first floor and on the “quiet” side of the building, which is preferable to many. It has large doors for both the bedroom and bathroom. 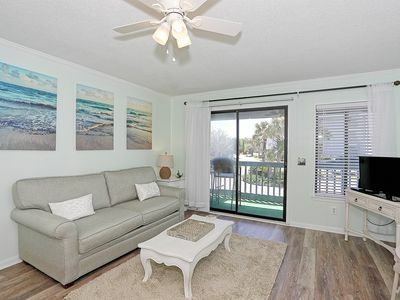 Although it is not one of the few condos located directly on he beach, you can still catch views of the water from the balcony or just walk down to the seating area at the end of he boardwalk. 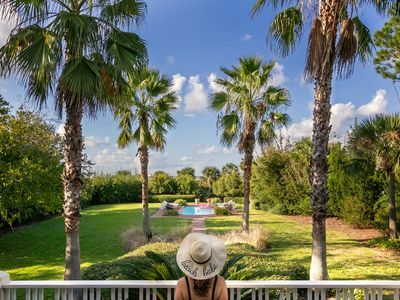 Tybee Beach and Racquet Club is located on the North end of Tybee Island directly on the bay where the Savannah River meets the Atlantic Ocean. There is a private beach with a walkway starting in the pool area. 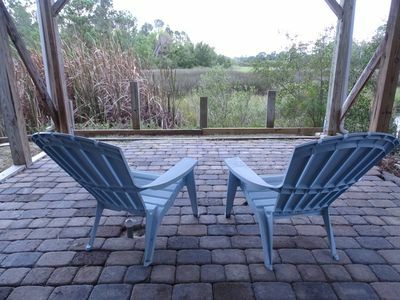 At the end of the walkway is a private seating area directly over the sand. Many guests bring their fishing poles and fish right off the beach. There are two pools: a 14`x20` adult pool and a 10x10` kiddie pool. The adult pool is up to 9' deep and is very well maintained. The building contains coin operated washers/dryers. There is free WIFI access at the pool area. Parking for this condo is for 1 vehicle only. You will receive a parking pass at check-in along with other tips and instructions. 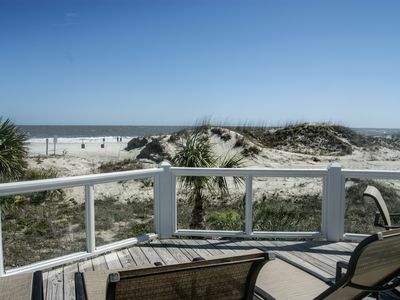 Tybee island is a fun beach town with lots to do and plenty of restaurants to visit. There are also deep sea fishing as well as dolphin sighting tours. But you don't have to go far from the beach condo to explore. Literally a five minute walk outside the front gate is the Tybee shopping village, which features many local shops as well as Tybean Art & Coffee Bar and Huc-A-Poos. Huc-A-Poos is a pizza roadhouse that serves lunch and dinner, often has live entertainment and is very reasonably priced. 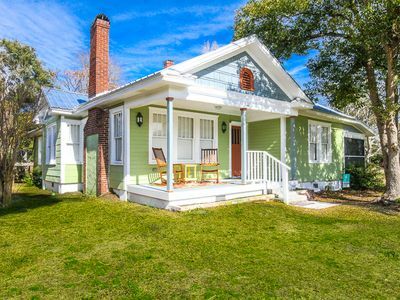 In addition to exploring Tybee Island, Downtown Savannah is only thirty minutes away. 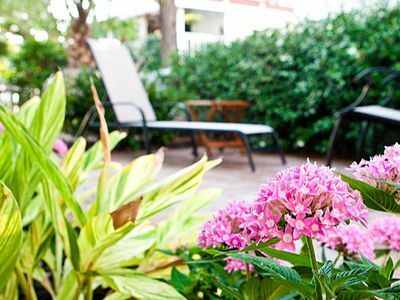 Plan a day to enjoy the sights and squares of downtown Savannah and get back in time to relax at the beach or pool. 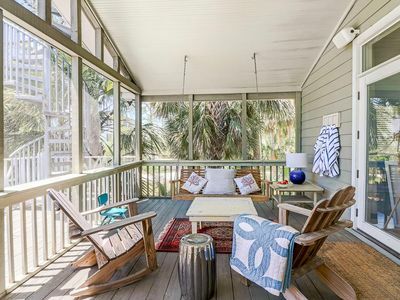 Tybee is located at the end of a series of barrier islands, so expect breathtaking sights of scenic salt water marsh and coastal wildlife. We can not wait for you to enjoy this with us! Also, we offer early check in and late check out for a nominal rate. Just ask! Lastly, we offer discounts for week long and month long bookings! Beautiful renovations complete in April 2018. 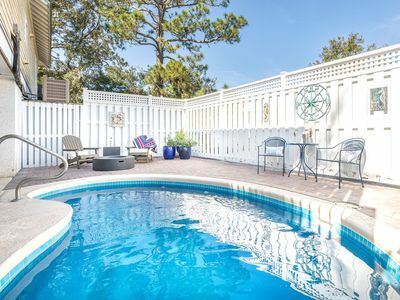 Killer Ocean Views and Steps to Beach, Plus Pool in Great Central Location! NEW PRIVATE POOL! STEPS TO THE BEACH! 360-DEGREE VIEWS! MULTIPLE LIVING SPACES!